It’s a moment that so nearly belonged to England. Gareth Southgate‘s players were 45 minutes from the final, at half time at the Luzhniki Stadium in Moscow four months ago when Rakitic’s Croatia came back to win. They have come back in the Nations League too. They were thrashed 6-0 by Spain in their first game, but now a victory at Wembley against England would see them top the group and deny Gareth Southgate’s team once more. 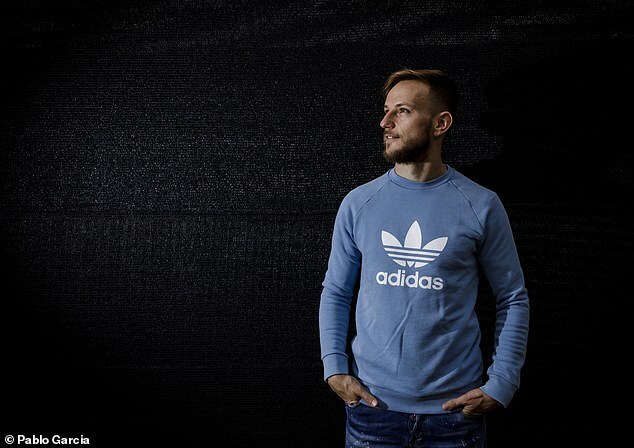 Speaking ahead of the decider, which he will miss through injury, Rakitic takes us inside the heads of these indomitable Croatian players. Why is it they just never seem to get the ‘Game Over’ memo? Where does he draw the strength from? He played 69 matches last season, and says he was running a fever going into the semi-final. 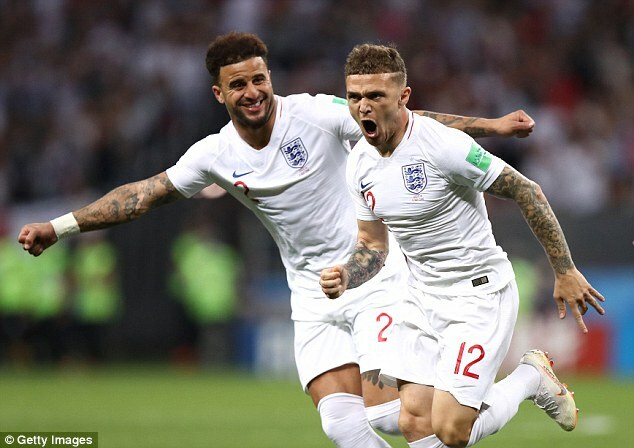 He explains why they knew stopping John Stones would help them stop England, why there were no handshakes with England players after the game, and what the ‘Football’s Coming Home’ anthem meant to him. There’s also the story of how he promised his little girl a belated birthday celebration when he returned from the tournament, and it ended up involving a street party for half a million Croatians. But first to Moscow, July 11, half time in the semi-final: England 1 Croatia 0. ‘It was just a brilliant goal,’ he says of Kieran Trippier’s free-kick that separated the teams at the break. Croatia were the first side in Russia to deal with Gareth Southgate’s since discarded three central defender system. 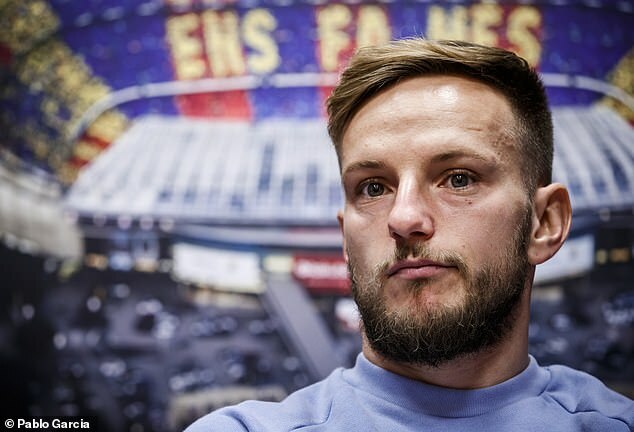 ‘The most important thing for us was not to let them play out comfortably,’ Rakitic says. ‘We knew that Stones was their most important player in terms of playing out. We had analysed him a lot. ‘Whenever there is a line of three central defenders, the one in the middle is the focal point. He is the one that comes out and looks to draw the centre-forward in so he can then release someone else. We also knew that Stones, after various years with Pep Guardiola, knew how to do that job very well. Stifling Stones was a plan that worked better for Croatia in the second half but there was more to the comeback than that. ‘A lot of people said we wouldn’t be able to take another extra-time but we played our best extra-time of the tournament,’ he says. He is reliving all this in Spanish, one of five languages he speaks fluently. He grew up in Switzerland after his family moved there to escape the Balkans conflict and he has settled down in Spain with his Spanish wife and two children. No problem with those off-the-scale celebrations at the end of the England game then? ‘It was just a moment of complete madness for us. I don’t know which player it was who said that we lacked respect because we did not shake hands at the end, but you have to understand this is a moment when we have got Croatia into a World Cup final. I don’t know how many inhabitants London has – eight million or so – well that’s almost double Croatia’s population. Having seen how they came back in Moscow, how they were unlucky in the final against France, and how they got their revenge against Spain on Thursday in Zagreb, respect is not going to be much of an issue on Sunday. It was something on Luka Modric’s mind after England’s semi-final defeat in Russia. He claimed ‘English journalists’, and ‘pundits from television’ had lacked humility when talking about Croatia. 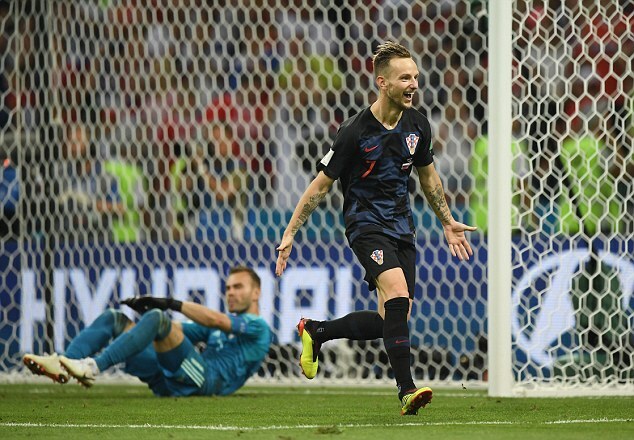 When Rakitic is asked if Croatia were under-estimated he mentions a certain song that was getting plenty of air-time during the tournament. ‘Well, all the “Football’s Coming Home” we were aware of that,’ he says with a grin. ‘I know it’s just a positive atmosphere that you were creating around the team and it wasn’t desired to offend the opponent, but we also saw it and we also thought “yeah but you have to play against us”. 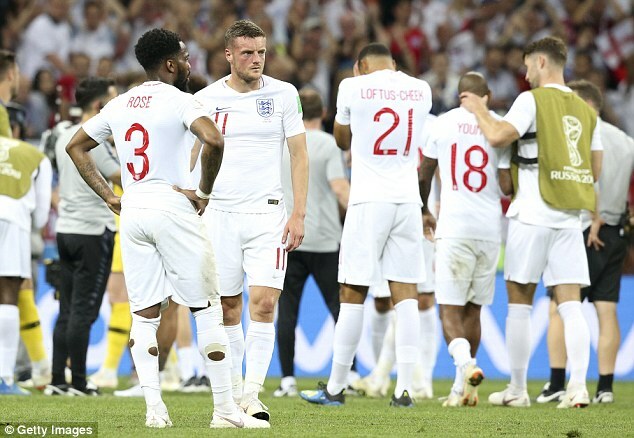 England’s defeat in the semi-finals and subsequent loss to Spain at Wembley left some wondering if the achievement in Russia had really been so special. Maybe it was just a lucky run of games. 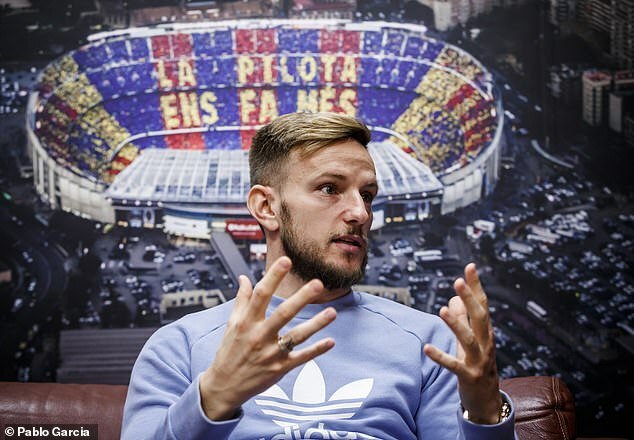 ‘If you want to find something negative then you will,’ says Rakitic. ‘Even if you are France and you are sat there with the trophy you can find the negative. England dug out a path for themselves, no one gifted them anything. ‘My respect for them is enormous and it is not a coincidence that they have since been capable of going on and beaten Spain in Spain. That performance did not come from a couple of weeks before the game, it goes back to the World Cup. In the end there were two: one with presents for her, and the other when 500,000 took to the streets to welcome Rakitic and his team-mates home. Asking him he how felt lining-up before that final against France is the one moment he struggles to find the right words. Eventually he comes up with the line about Superman not being able to drag him away. 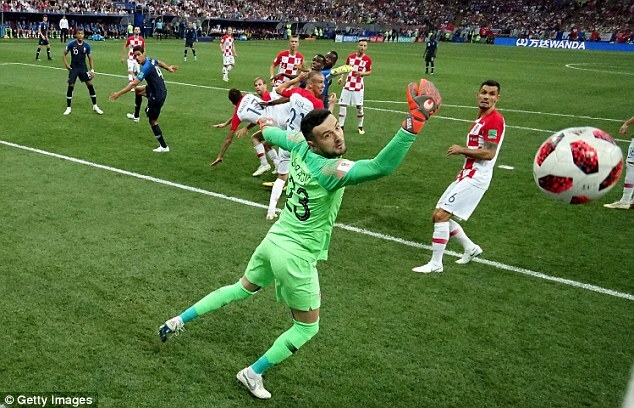 It did not go Croatia’s way against France. ‘Don’t talk to me about VAR because I have dreamed of it a thousand nights,’ he says recalling some of the refereeing decisions on which the game hinged early on. The experience has certainly turned him against the video assistant referees, now in use in La Liga in Spain. ‘You score a goal and you have to stop to see if the referee is going to put his finger to his ear or draw the imaginary TV screen,’ he says while drawing the imaginary TV screen. There will be no VAR on Sunday. Neither will there be a penalty shoot-out. If the game ends in a draw it will be Spain who go to next summer’s final four. 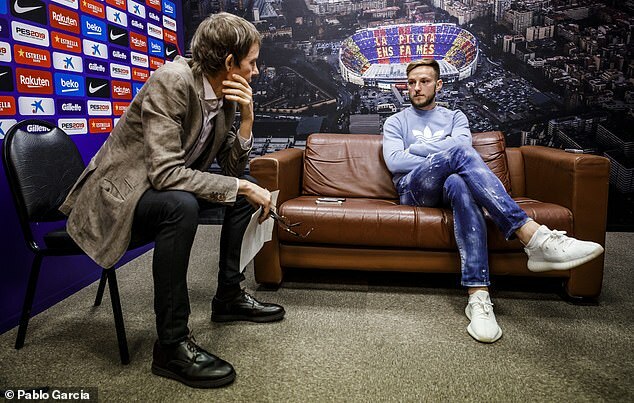 Twice in Russia, Rakitic scored the decisive spot-kick with an apparent cool that belied the massive responsibility and pressure he was under. ‘If I tell you that I was as calm as I would be taking a penalty in training for Barcelona then I would be lying. It’s not that you know the whole world is watching, but it is a feeling that you can make all your compatriots happy. ‘I am convinced that there would have been Croatians in Australia, South America or Africa, far from our country, who have been prouder than anyone. And you think to yourself “I can make history”. ‘But in that moment I tried not to think about anything more than what I was talking to my wife about during the day of the game. Or the FaceTime call I had with my daughters. 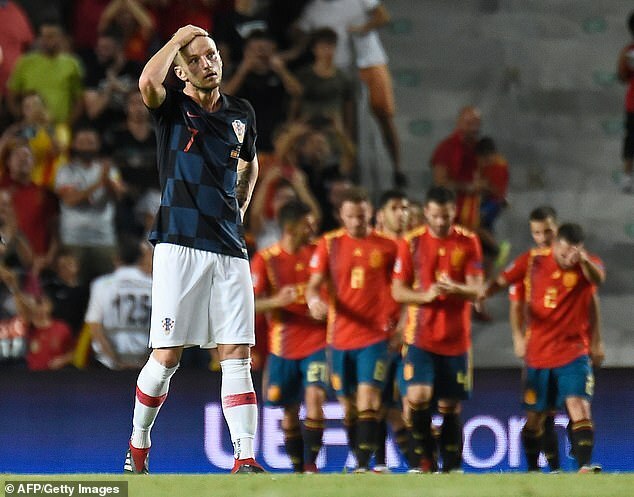 Of the post-Russia comedown Rakitic admits to being drained as the realisation of what he had come so close to achieving sunk in. The Nations League was tough on Croatia coming off the back of the Russia finals. They were not helped by having to face England in an empty stadium. No one was. 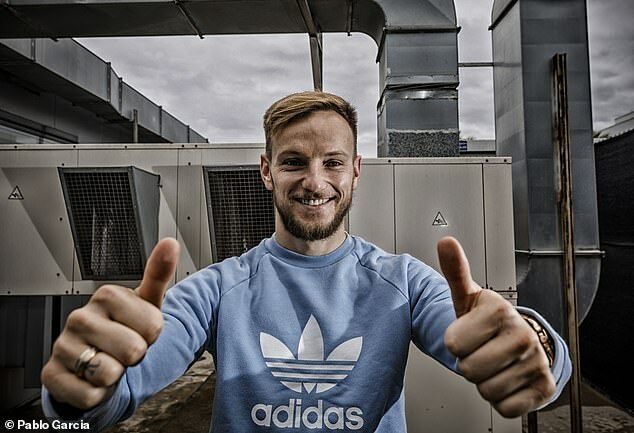 There will be a big party at a full Wembley if England win, but Croatia have been the spoilers before and Rakitic sees no reason why they can’t again.